This was released at the height of the disco boom and quite a lot of the material is extended dance-floor style in a way that Barry White had not done quite so clearly before. The numbers are upbeat, infectious and the emphasis on the vocal is underplayed, they are far more about the groove. It is a far more of a disco album than a "lay down next to me, baby" one. 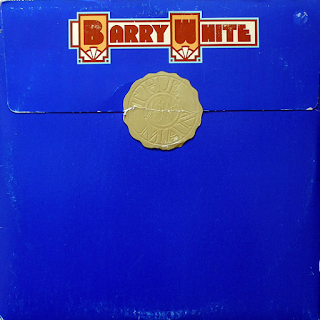 Although in some ways it is a "more of the same" album, as Barry White albums are, in some ways it is just a little different. Just a little, mind. Actually, not really too much, but a "Barry-ologist" will notice the small variations. "Look At Her" is an impressive, string-dominated disco grinder with White's vocal floating in and out of the instrumental dance-floor groove. There are good "hustle"-style horn breaks on it too. The disco groove continues on the sumptuous "Your Sweetness Is My Weakness". The has some great bass lines and subtle electric funky guitar ones too. The vocal comes into its own near the end of the track's eight minutes plus. "Sha La La Means I Love You" has an addictive Latin intro, sumptuous, kicking horns and a samba-ish beat to it throughout. 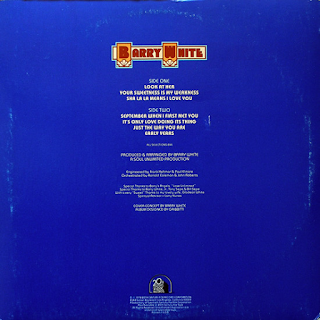 Similar to the previous album, the original "side one" contained three extended rhythmic danceable numbers, whereas "side two" concentrated more the ballads. The lush, ballad side of the album opens with the sublime, sweet syrup of "September When I First Met You". It is a gorgeously string-backed soulful ballad. Sure it doesn't pull up any trees, but it has a heck of a laid-back soul atmosphere. The vocal is more upbeat than those gruff, semi-whispered ones of the mid-seventies glory days. "It's Only Love Doing Its Thing" is a smoocher, but it also has a it of a slow-pace dance groove to it, featuring some killer percussion and addictive horn breaks. Personally, I love this track. Billy Joel's "Just The Way You Are" as actually made famous by this, White's sublime soulful cover, which was a huge hit. Excellent stuff. Everyone knows the song, it is just gorgeous. 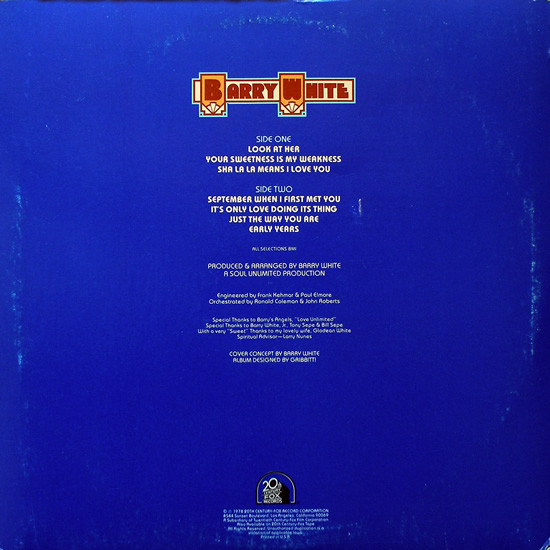 It is included here in its full-length incarnation, with Barry's spoken intro. There is a superb saxophone solo on it too. The album ends with the bassy and funky slow-burning "Early Years" which some seriously good guitar and more intoxicating percussion. It has a jazzy feel to it and an ambience that is slightly different from White's usual material. I actually think this is a pretty good album that has often been overlooked and has hidden depths, together with great sound and production quality. 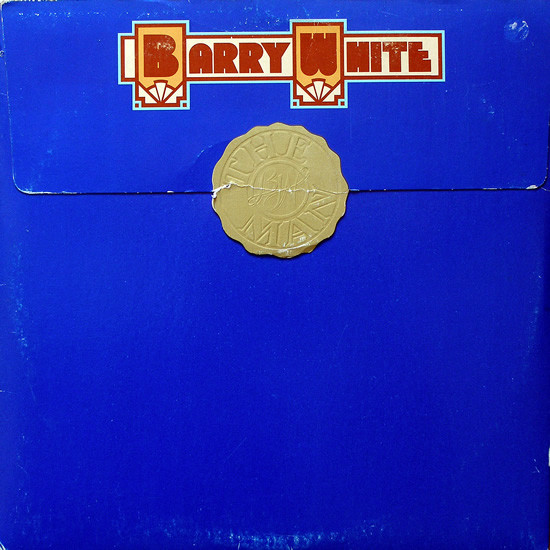 It is easy to write off these later Barry White albums, as he really made his name with the first three albums, but I have to admit I have enjoyed listening to this, and the previous two a great deal, in their latest remasters.